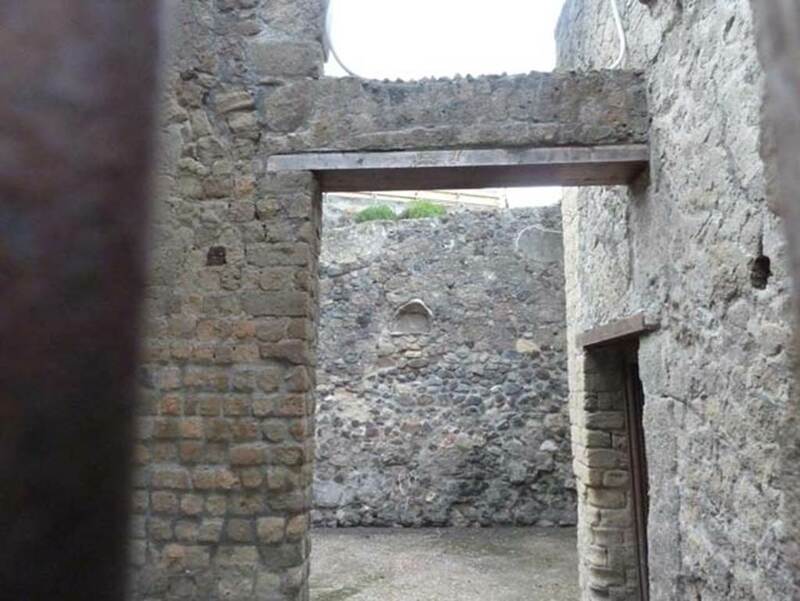 Herculaneum VII.18. 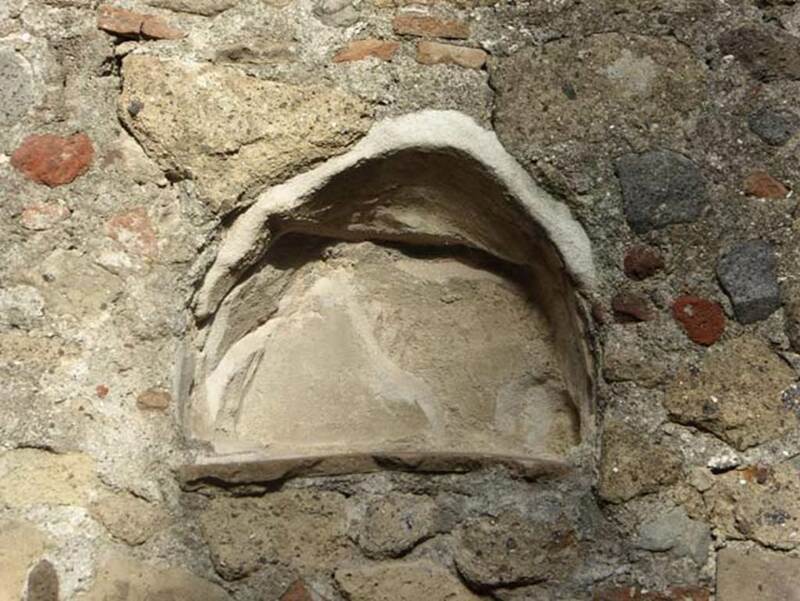 Dwelling of C. Messenius Eunomus, linked to workshop at VII.17 and VII.1. Excavated 1872-73. 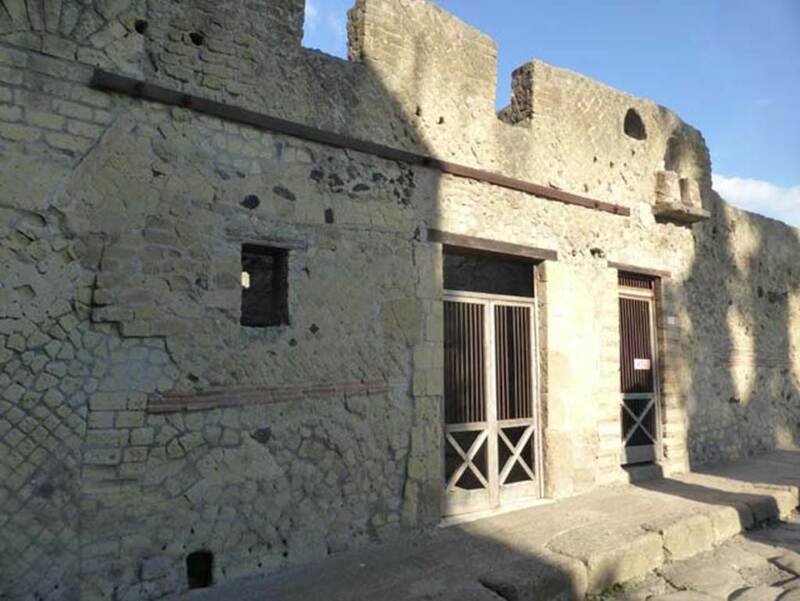 The ownership of this house and shop is attributed to C. Messenius Eunomus, an Augustale who name was graffitied on one of the columns of the Seat of the Augustales, has been hypothesized due to the discovery of a bronze seal bearing his name. According to Cooley and Cooley, thirty-two tablets were discovered on a balcony next to the House of Galba (they say at VII.8 or 9). VII.18 and 17, Herculaneum, September 2015. 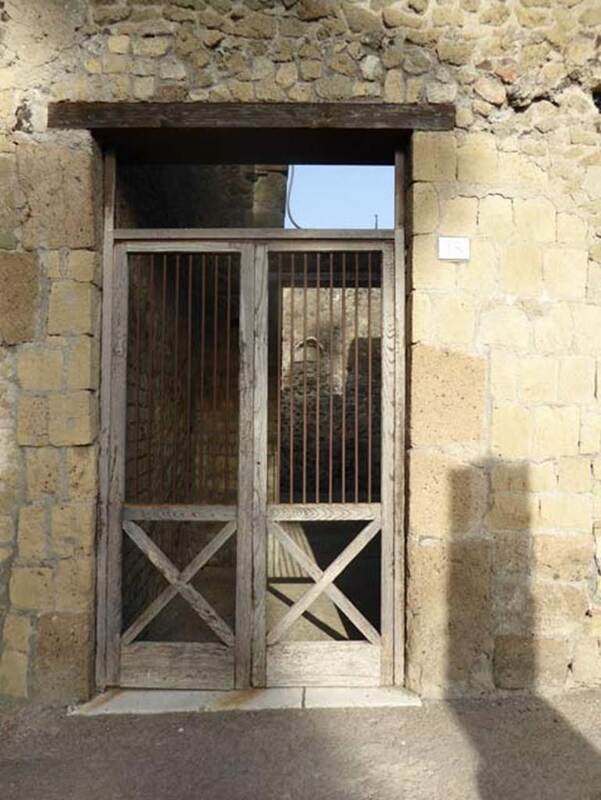 Doorways to workshop and dwelling on Decumanus Inferiore. 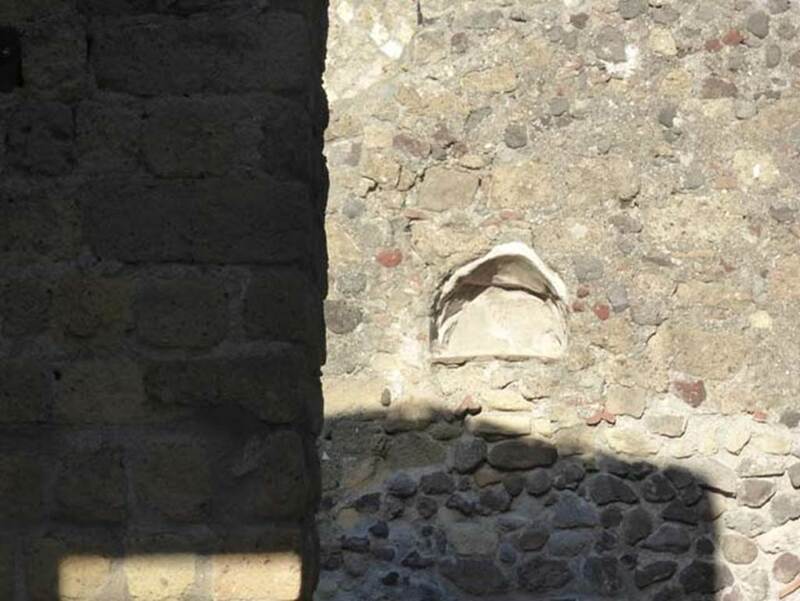 VII.18 and 17, Herculaneum, October 2014. 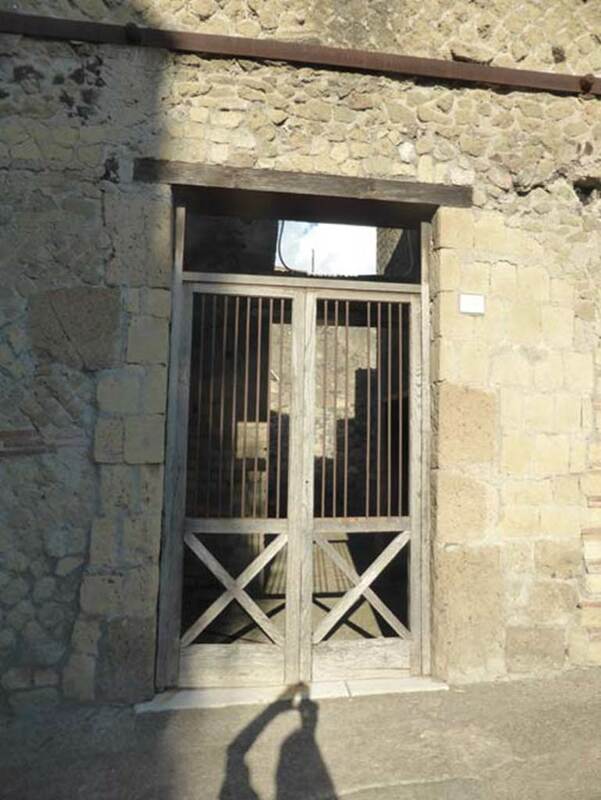 Doorways to workshop and dwelling on Decumanus Inferiore. VII.18, Herculaneum. Seal of C. Messenius Eunomus found on 12 March 1873, in a room of the house, where he had fallen from the upper floor (together to numerous other objects). See Camodeca, G., 2017. Una Nuova Compravendita di Schiavo dalle Tabulae Herculanenses. VII.18, Herculaneum. September 2015. Latrine on upper floor, view from left (west). VII.18, Herculaneum. September 2015. 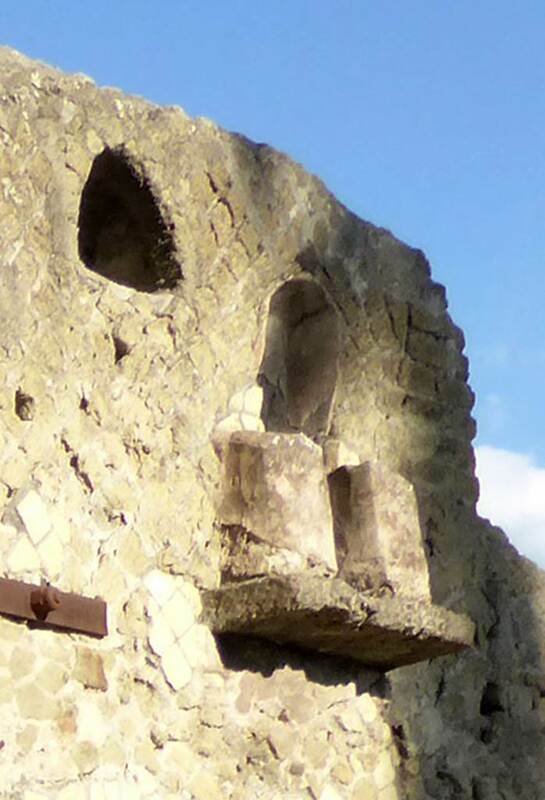 Latrine on upper floor, front view. VII.18, Herculaneum. September 2015. Latrine on upper floor, view from right (east). VII.18 Herculaneum, September 2015. Entrance doorway. VII.18 Herculaneum, October 2014. Entrance doorway. Photo courtesy of Michael Binns. VII.18 Herculaneum, September 2015. Looking north through entrance doorway. VII.18 Herculaneum, September 2015. 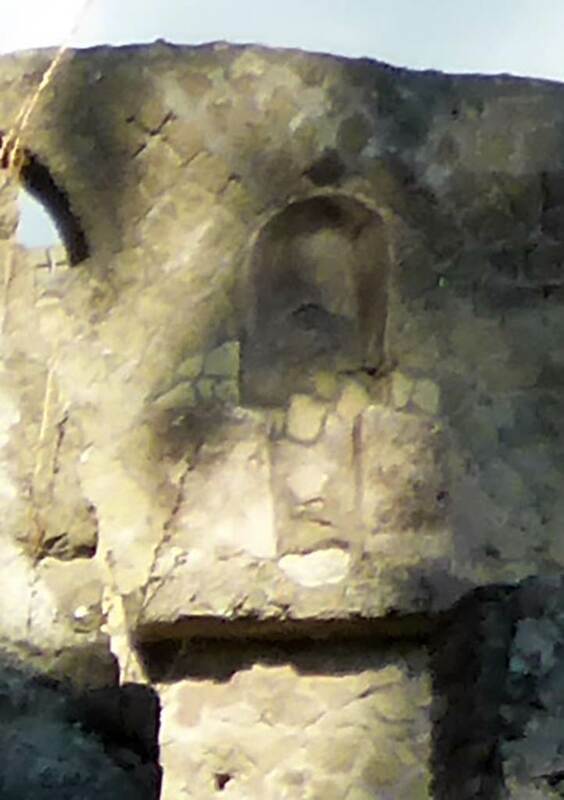 Niche on rear wall. 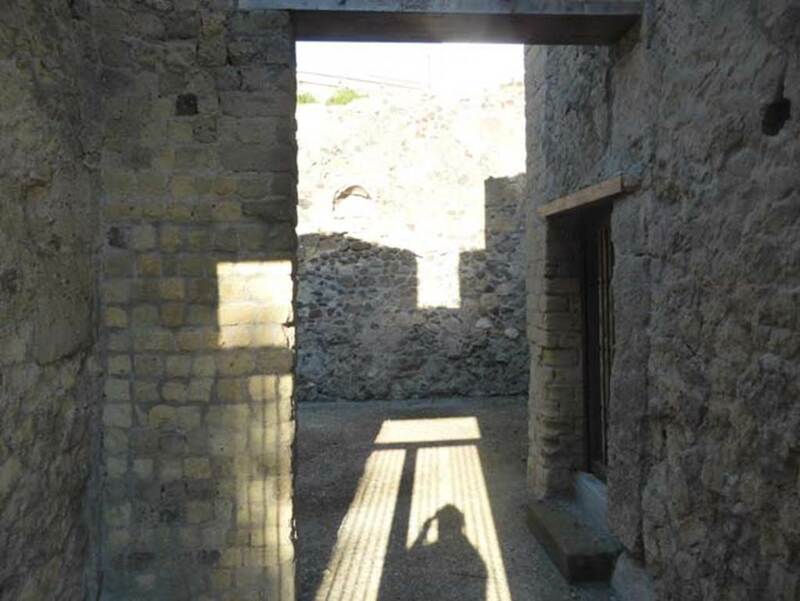 VII.18, Herculaneum, September 2015. Niche on rear wall, from entrance doorway. 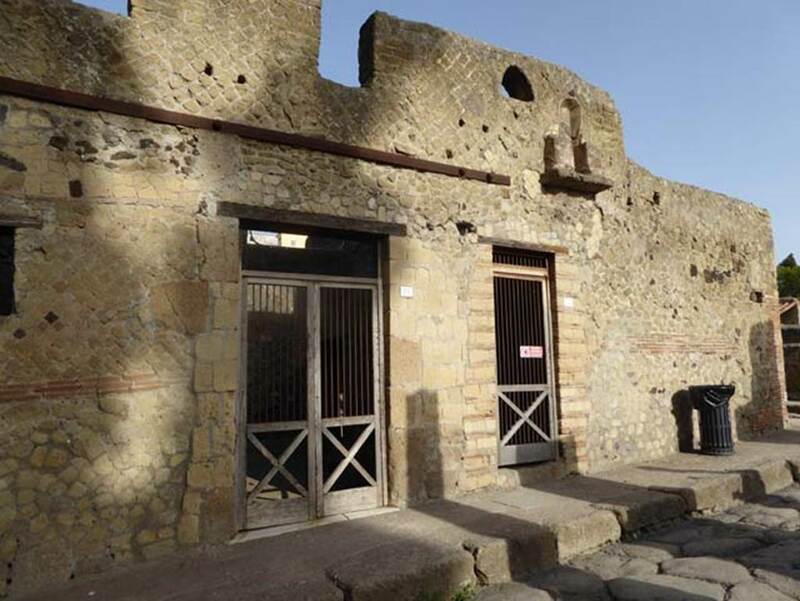 VII.18, Herculaneum, October 2014. 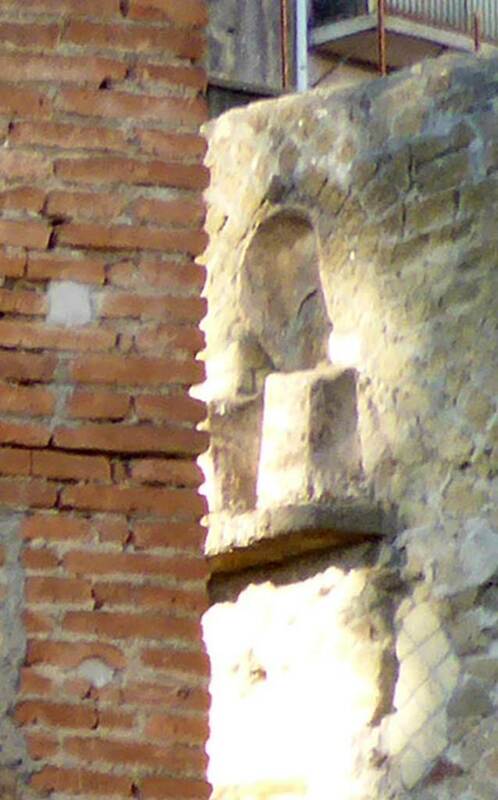 Detail of niche on rear wall, from entrance doorway.